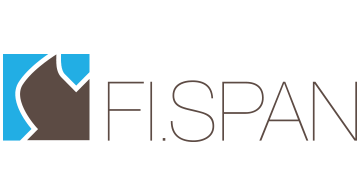 FI.SPAN is a new startup. Our mission is to unify Financial Institutions and independent FinTech service providers. Our SAAS platform provides banks and enterprises with a single API to reach any emerging FinTech offering, backed up with unified compliance, risk, reconciliation, and transaction monitoring services. New service providers offer increasingly specialized services and are poised to disrupt accounting, payments, lending, and CRM workflow. All modern FinTechs offer open REST APIs, and in theory, individual services can interoperate intelligently with each other. But in practice, they don’t, because the data and command flows between an enterprise, its bank, and its service providers remain segregated. For an enterprise, integrating directly via individual APIs introduces service fragmentation and complexity. For the bank, granting open access to core platforms is a non­starter. For the FinTech provider, compliant onboarding and ongoing activity monitoring are complex activities that require a holistic view of an enterprise, virtually impossible to optimize without access to bank­held data. Thus all parties: the Enterprise, the Bank, and the FinTechs are disadvantaged by the current state of affairs. FI.SPAN will actively integrate, test, and monitor the services of FinTech providers. Via FI.SPAN’s single connection, Enterprises can securely and compliantly leverage any service using their existing ERP platform and processes. For banks, FI.SPAN’s SAAS platform centralizes all aspects of third party service management and includes transaction monitoring, limit and risk thresholds, and API tokenization control. FI.SPAN­powered banks deepen their corporate cash management relationships and maintain broad and complete visibility over client transactional activities.